Model MD-1 , Medium Duty coil winding machine for Motor coils upto about 100 KW Automatic stop at pre-set no. of turns. 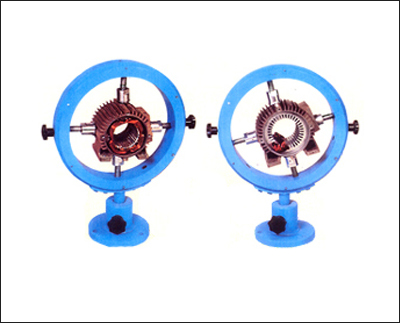 Speed Reduction gears & an electromagnetic clutches are used. It can handle winding fixture AJ-1 with concentric Arbour type UW & type U. Specifications for Medium Motor Winding Machine. → 1 H.P. Motor 3 Phase with electro magnetic D.C. Brake with rectifier. → Five digit mechanical revolution counter. 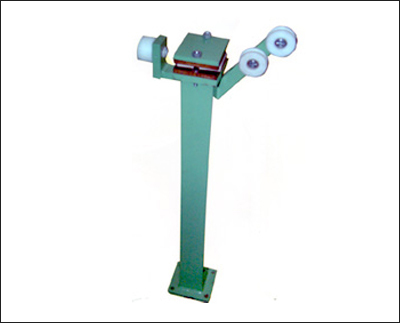 → Vertical type carrier with fibre ring tension device. → Eleven Pairs of Type "H" Arbours / Fixtures. Model MD-1 , Medium Duty coil winding machine for Motor coils upto about 100 KW Automatic stop at pre-set no. of turns. Speed Reduction gears & an electromagnetic clutches are used. It can handle winding fixture AJ-1 with concentric Arbour type UW & type U.